It seems the good folks at 343i are finally giving the fans and the community some awesome content. CSR and the Castle Map Pack Dropped today. But wait, there’s more. Here’s a quick video from 343i’s own Bravo! 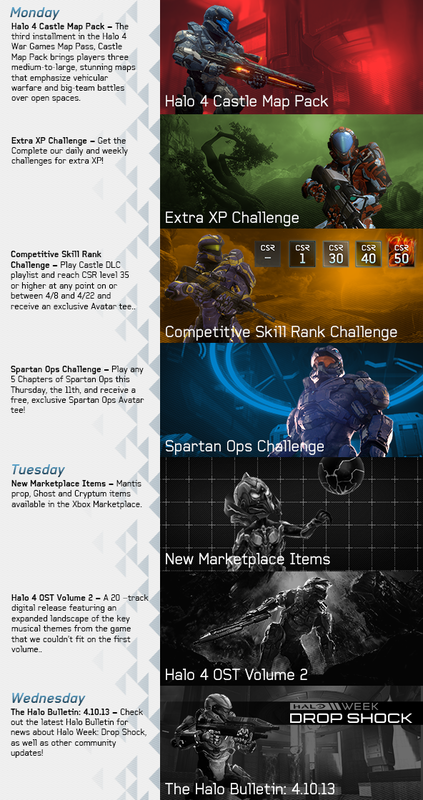 All this week you’ll have a chance to ear exclusive XBL avatar items should you meet the challenges set before you. Below is a run down of what’s happening this week. Come back to the Array for more info this week on the awesome content coming through! ← Castle Map Pack Stream Live with 343i!